You and your group are ready to go out on a journey through the country roads. Each one intends to cross the country by its own route and to experience its with different intensities. And when they return, who will have more stories to tell? 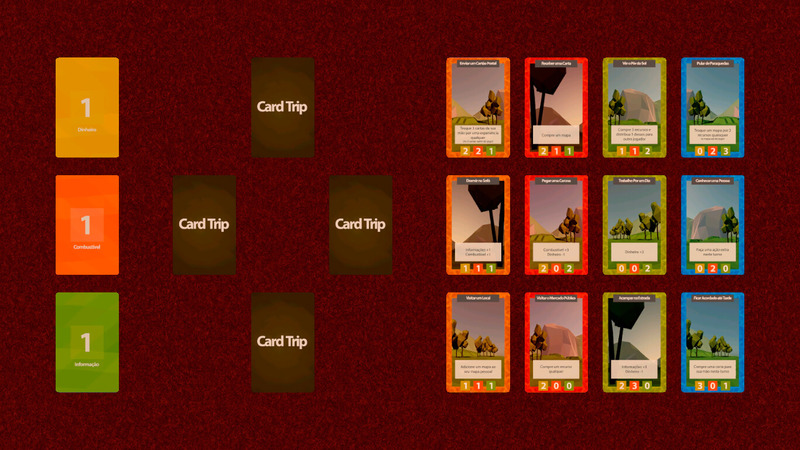 Card Trip is an analog deck-building game about the experience of making a road trip! 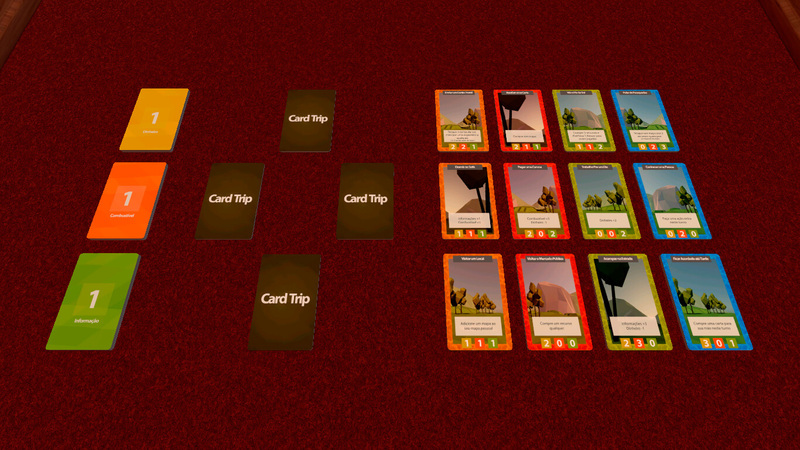 It is the fourth game of the XP project, and the first analogue project experience. 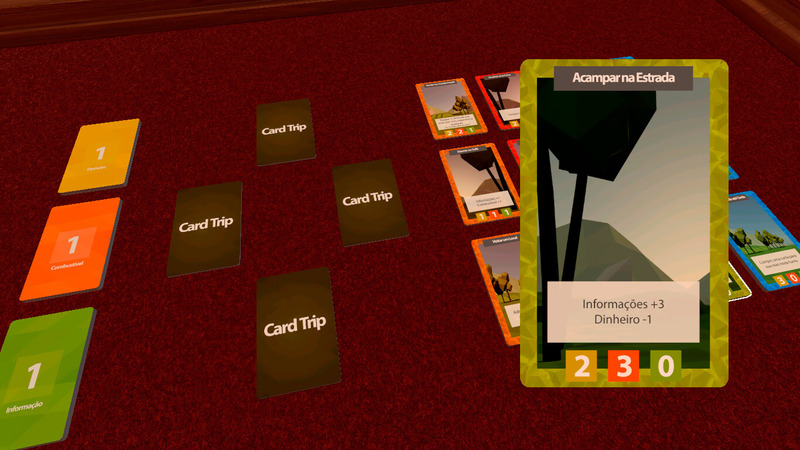 The game mixes deck-building elements with set collection, and seeks to create different experiences by having the players adapt to the individual characteristics in each game. For a casual audience of 2-4 players and estimated matches between 20-40 minutes. 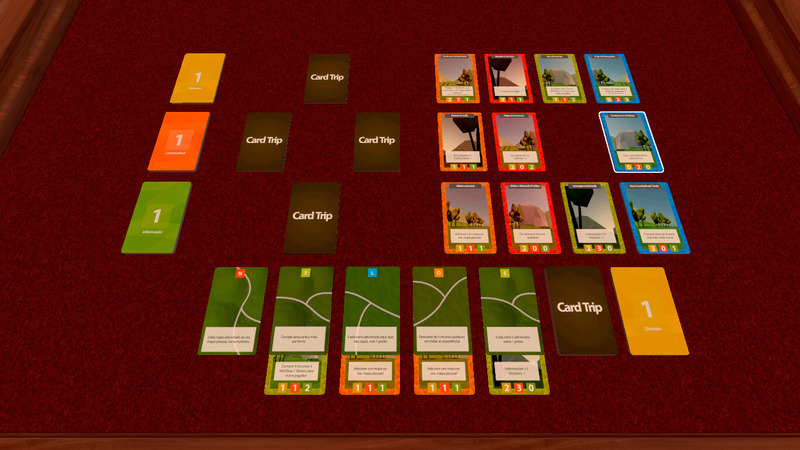 The focus of the development was on the balancing between deck-building mechanics and scoring mechanics through set collection elements. The game will not be publicly available at the time, since at the end of the 14 days the project is in a testing phase. But who knows in the future? The arts used are only for validation of the experiences perceived by the players. 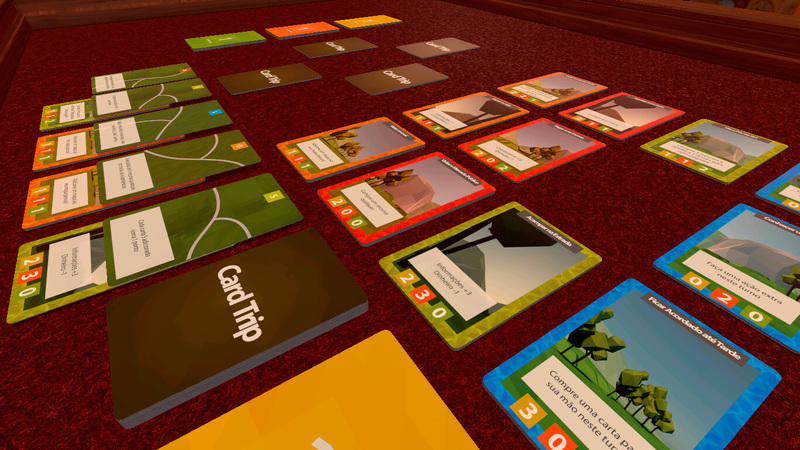 The entire simulation process of the game was done through the Tabletop Simulator (Berzerk Studio). 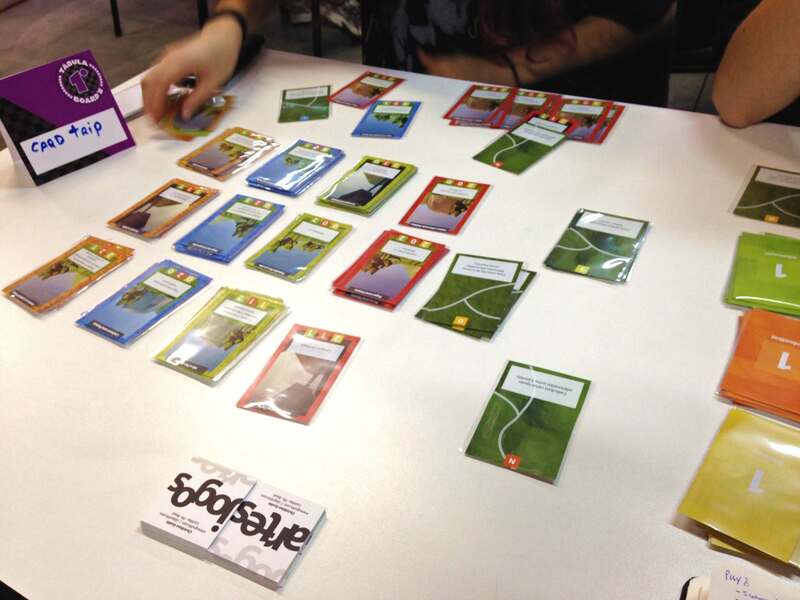 – November 2017: Game presented and tested during the 1st Board’s Tábula, of the Tábula Venatus, in the Gibiteca of Curitiba, in Curitiba. Access the Photo Gallery of the event on the website of the Cultural Foundation of Curitiba.